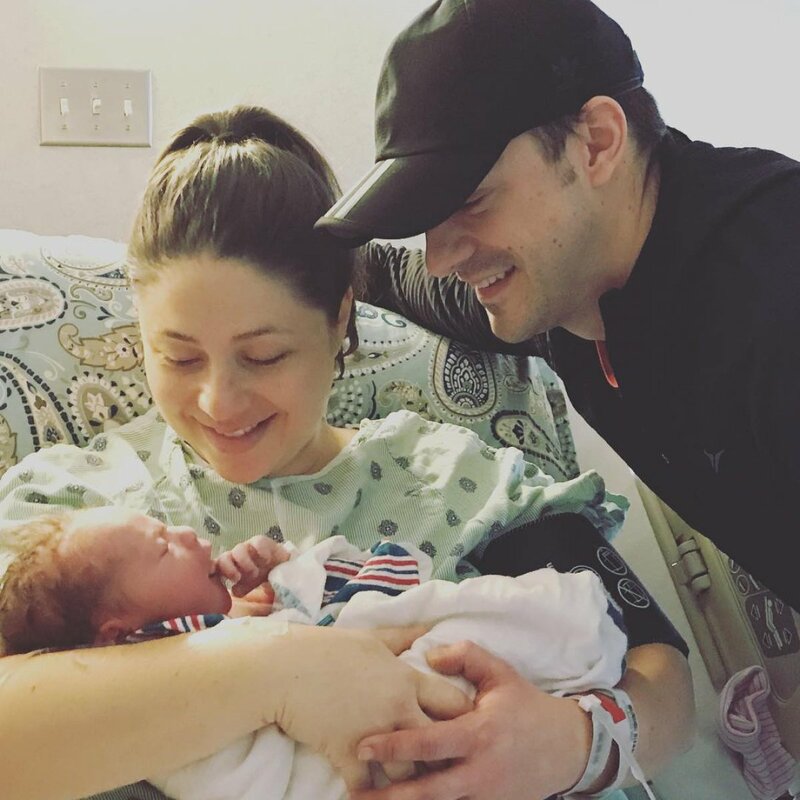 Big Brother fan-favorite Dan Gheesling and his wife, Chelsea Gheesling, have welcomed their second baby together. Dan broke the news his wife was going into labor Monday on Twitter as they were headed to the hospital, and then the following day, he announced his new son's arrival on Instagram. "We are very happy to welcome another baby boy into our family," Dan captioned a photo of Chelsea holding their little bundle of joy. "We love you Miles Glen Gheesling -- 9lb 2oz." Dan told Us Weekly that he's "so excited" to welcome Miles to their family. Miles will be joining the couple's first son, Desmond, who was born in July 2016. "It was a surprise to have another boy but we know Desmond is thrilled to have a little brother," the 34-year-old reality TV star said on Tuesday. "I laugh in excitement waiting for the moments we will have as a young family with two little boys running around the house -- it's really a dream come true!" Chelsea delivered the adorable newborn at 1:07PM ET, according to E! News. "I think [Des] is going to be a great big brother!... Every day it is something new! It could be a new word Desmond says that we have no idea where he learned it from, or starts dancing randomly, or flexing his muscles for the babysitter unprovoked -- we really enjoy watching him grow and develop into his own unique personality," Dan shared with E! News. "Raising Desmond and the new baby is the best challenge of our lives, and I'm lucky to have Chelsea as the best teammate and wife in the world to raise our children together." Dan revealed in early October 2017 that he had another baby on the way with Chelsea, who apparently discovered she was pregnant on Desmond's first birthday. He said at the time the pregnancy was "a bit of a surprise," but a great one at that. Dan and Chelsea wed in July 2011. Dan is best remembered for receiving all seven jury votes to win Big Brother's tenth edition in 2008. He then appeared on Season 14 as a coach to the houseguests but was granted permission to play about halfway through the game. When Dan was up for eviction in Season 14, he brilliantly staged his own "funeral" to gain pity from his peers -- a cunning plan that actually worked to keep him in the house. However, Dan's ruthless gameplay overall stirred up a very bitter BB jury, and Ian Terry ended up winning the $500,000 grand prize instead. Many recent Big Brother houseguests have referred to Dan as a Big Brother legend or icon. Dan isn't the only former Big Brother houseguest with recent baby news! Jason Dent from BB19 welcomed his second child, Letti Opal, on Sunday. And Christmas Abbott, also from the show's nineteenth season, just announced her first pregnancy earlier this month.